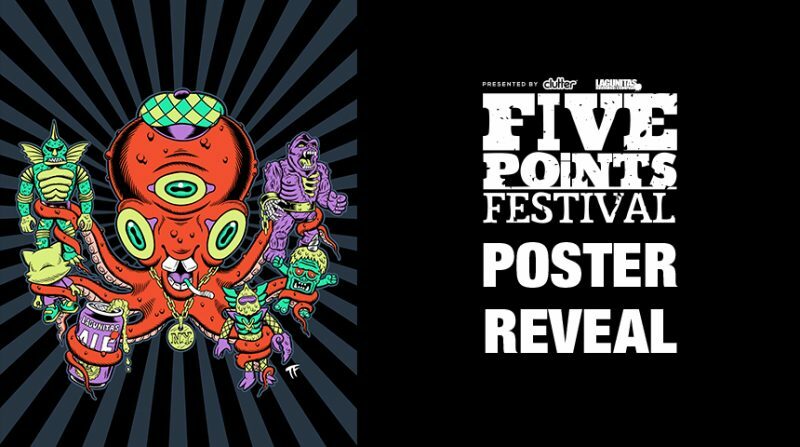 We are excited to announce this year’s official Festival poster! Illustrated by the super talented Thomas Fernandez (@liveradstudios). 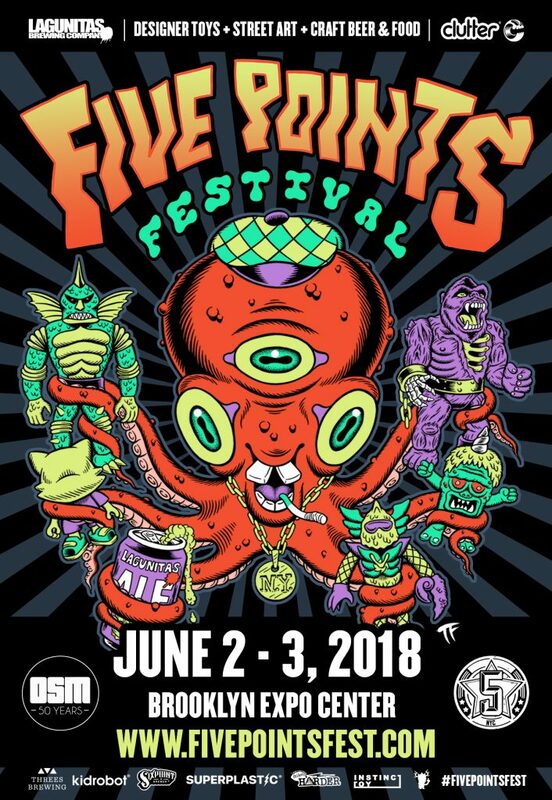 Featuring a super cool Five Points Fest Octopus, holding a King Korpse by James Groman x Instinctoy, Colossus Rex by The Outer Spacemen, Janky by Superplastic, Even Uglier Unicorn by Jon Rampage Toys, Lonny by Bwana Spoons, and a can of our favorite brew from our friends at Lagunitas. Look out for posters and apparel at the event featuring this awesome image! Also, keep an eye around town and see if you can spot any of these out in the wild!